​Jones, M. N. (2017). Big Data in Cognitive Science. Psychology Press: Taylor & Francis. Mannering, W. M., & Jones, M. N. (2019). Insulating distributional semantic models from catastrophic interference. Proceedings of the 41st Annual Meeting of the Cognitive Science Society. Avery, J. E., & Jones, M. N. (2019). Solving the exploding memory problem of exemplar-based semantic models with holographic representation. Proceedings of the 41st Annual Meeting of the Cognitive Science Society. Johns, B. T., Jamieson, R. K., & Jones, M. N. (in press). The continued importance of theory: Lessons from big data approaches to cognition. In Woo, S. E., Proctor, R., and Tay, L. (Eds.) Big Data Methods for Psychological Research: New horizons and Challenges, APA Books. Johns, B. T., Jones, M. N., & Mewhort, D. J. K. (2019). The role of negative information in distributional semantic learning. Cognitive Science. Taler, V., Johns, B. T., & Jones, M. N. (2019). A Large Scale Semantic Analysis of Verbal Fluency across the Aging Spectrum: Data from the Canadian Longitudinal Study on Aging. Journal of Gerontology: Psychological Sciences. Johns, B. T., Jones, M. N., & Mewhort, D. J. K. (2019). Using experiential optimization to build lexical representations. Psychonomic Bulletin & Review. Jamieson, R. K., Johns, B. T., Avery, J. E., & Jones, M. N. (2018). An instance theory of semantic memory. Computational Brain & Behavior. Jones, M. N., & Avery, J. E. (2018). Semantic Memory. In Oxford Bibliographies in Psychology. Dana S. Dunn (Ed). New York: Oxford University Press. Avery, J. E., & Jones, M. N. (2018). Comparing models of semantic fluency: Do humans forage optimally or walk randomly? Proceedings of the 40th Annual Meeting of the 40th Annual Meeting of the Cognitive Science Society. Dachapally, P. R., & Jones, M. N. (2018). Catastrophic interference in neural embedding models. Proceedings of the 40th Annual Meeting of the 40th Annual Meeting of the Cognitive Science Society. ​Jamieson, R. K., Johns, B. T., Avery, J. E., & Jones, M. N. (2018). An instance theory of distributional semantics. Proceedings of the 40th Annual Meeting of the 40th Annual Meeting of the Cognitive Science Society. Asr, F. T., Zinkov, R., & Jones, M. N. (2018). Querying Word Embeddings for Similarity and Relatedness. Proceedings of the North American Chapter of the Association for Computational Linguistics - Human Language Technologies. Montag, J. L., Jones, M. N., & Smith, L. B. (2018). Quantity and diversity: Simulating early word learning environments. Cognitive Science. Jones, M. N. (2018). When does abstraction occur in semantic memory: Insights from distributional models. Language, Cognition and Neuroscience. Jones, M. N., Gruenenfelder, T. M., & Recchia, G. (2018). In defense of spatial models of semantic representation. New Ideas in Psychology. Minor, K. S., Willits, J. A., Marggraf, M. P., Jones, M. N., & Lysaker, P. H. (2018). Measuring disorganized speech in schizophrenia: automated analysis explains variance in cognitive deficits beyond clinician-rated scales. Psychological Medicine. Jones, M. N., & Dye, M. W. (2018). ﻿Big data methods for discourse analysis.﻿ In Schober, M. F., Rapp, D. N., & Britt, M. A. (Eds.) Handbook of discourse processes, 2nd Edition. New York, NY: Routledge. pp. 117-124. Willits, J. A., Rubin, T., Jones, M. N., Minor, K. S., & Lysaker, P. H. (2018). Evidence of disturbances of deep levels of semantic cohesion within personal narratives in schizophrenia. Schizophrenia Research. Rubin, T. N., Koyejo, O., Gorgolewski, K. J., Jones, M. N., Poldrack, R. A., & Yarkoni, T. (2017). Decoding brain activity using a large-scale probabilistic functional-anatomical atlas of human cognition. PLOS Computational Biology. Asr, F. T., & Jones, M. N. (2017). An Artificial Language Evaluation of Distributional Semantic Models. Proceedings of the ACL Conference on Natural Language Learning (CoNLL). Jones, M. N., Dye, M., & Johns, B. T. (2017). Context as an organizational principle of the lexicon. In B. Ross (Ed. ), The Psychology of Learning and Motivation, 67:43. Jones, M. N. (2017). Developing cognitive theory by mining large-scale naturalistic data. In M. N. Jones (Ed. ), Big Data in Cognitive Science. New York: Taylor & Francis. Yee, E., Jones, M. N., & McRae, K. (2017). Semantic memory. The Stevens’ Handbook of Experimental Psychology and Cognitive Neuroscience, Fourth Edition. J. Wixted & S. Thompson-Schill (Eds). Wiley, UK. Johns, B. T., Taler, V., Pisoni, D. B., Farlow, M. R., Hake, A. M., Kareken, D. A., Unverzagt, F. W., & Jones, M. N. (2017). Cognitive Modeling as an Interface between Brain and Behavior: Measuring the Semantic Decline in Mild Cognitive Impairment. Canadian Journal of Experimental Psychology. Dye, M., Jones, M. N., Yarlett, D., & Ramscar, M. (2017). Refining the distributional hypothesis: A role for time and context in semantic representation. Proceedings of the 39th Annual Meeting of the Cognitive Science Society. ​Dye, M., Jones, M. N., & Shiffrin, R. M. (2017). Vanishing the mirror effect: The influence of prior history & list composition on recognition memory. Proceedings of the 39th Annual Meeting of the Cognitive Science Society. ​Dye, M., Ramscar, M., & Jones, M. N. (2017) Representing the richness of linguistic structure in models of episodic memory. Proceedings of the 39th Annual Meeting of the Cognitive Science Society. Johns, B. T., Mewhort, D. J. K., & Jones, M. N. (2017). Small worlds and big data: Examining the simplification assumption in cognitive modeling. In M. Jones (Ed. ), Big Data in Cognitive Science. Taylor & Francis: Psychology Press. Johns, B. T., Sheppard, C., Jones, M. N., & Taler, V. (2016). The Role of Semantic Diversity in Lexical Organization across Aging and Bilingualism. Frontiers in Psychology, 7, 703 (11 pages). Asr, F. T., Willits, J. A., & Jones, M. N. (2016). Comparing predictive and co-occurrence based models of lexical semantics trained on child-directed speech. Proceedings of the 37th Meeting of the Cognitive Science Society. Johns, B. T., Jones, M. N., & Mewhort, D. J. K. (2016). Experience as a free parameter in the cognitive modeling of language. Proceedings of the 37th Meeting of the Cognitive Science Society. Willits, J. A., Jones, M. N., & Landy, D. (2016). Learning that numbers are the same, while learning that they are different. Proceedings of the 37th Annual Conference of the Cognitive Science Society. Austin, TX: Cognitive Science Society. Johns, B. T., Jamieson, R. K., Crump, M. J. C., Jones, M. N., & Mewhort, D. J. K. (2016). The combinatorial power of experience. Proceedings of the 37th Meeting of the Cognitive Science Society. Szary, J. K., & Jones, M. N. (2016). Semantic, lexical, and geographic cues are used in geographic fluency. Proceedings of the 37th Meeting of the Cognitive Science Society. Vinson, D. W., Dale, R., & Jones, M. N. (2016). Decision contamination in the wild: Sequential dependencies in Yelp review ratings. Proceedings of the 37th Meeting of the Cognitive Science Society. Dye, M. W., Johns, B. T., Ramscar, M., & Jones, M. N. (2016). The structure of names in memory: Deviations from uniform entropy impair memory for linguistic sequences. Proceedings of the 37th Meeting of the Cognitive Science Society. Johns, B. T., Dye, M. W., & Jones, M. N. (2015). The influence of contextual diversity on word learning. Psychonomic Bulletin & Review. Jones, M. N., Hills, T. T., & Todd, P. M. (2015). Hidden processes in structural representations: A reply to Abbott, Austerweil, & Griffiths. Psychological Review, 122, 570-574. Gruenenfelder, T. M., Recchia, G., Rubin, T., & Jones, M. N. (2015). Graph-theoretic properties of networks based on word association norms: Implications for models of lexical semantic memory. Cognitive Science. Jones, M. N., Willits, J. A., & Dennis, S. (2015). Models of semantic memory. In J. R. Busemeyer & J. T. Townsend (Eds.) Oxford Handbook of Mathematical and Computational Psychology. 232-254. Riordan, B., Dye, M., & Jones, M. N. (2015). Grammatical number processing and eye movements in English spoken language comprehension. Frontiers in Psychology. Recchia, G. L., Sahlgren, M., Kanerva, P., & Jones, M. N. (2015). Encoding sequential information in vector space models of semantics: Comparing holographic reduced representation and random permutation.Computational Intelligence & Neuroscience. Willits, J. A., Jones, M. N., & Landy, D. (2015). Learning that numbers are the same, while learning that they are different. 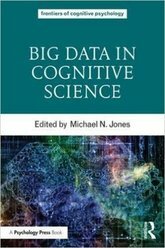 Proceedings of the Cognitive Science Society. Rubin, T. N., Willits, J. A., Kievit-Kylar, B. & Jones, M. N. (2014). Organizing the space and behavior of semantic models. Proceedings of the 35th Annual Conference of the Cognitive Science Society. Austin, TX: Cognitive Science Society. Johns, B. T., Jones, M. N., & Mewhort, D. J. K. (2014). A continuous source reinstatement model of true and illusory recollection. Proceedings of the 35th Annual Conference of the Cognitive Science Society. Austin, TX: Cognitive Science Society. Johns, B. T., & Jones, M. N. (2014). Generating structure from experience: The role of memory in language. Proceedings of the 35th Annual Conference of the Cognitive Science Society. Austin, TX: Cognitive Science Society. Kievit-Kylar, B., Kachergis, G., & Jones, M. N. (2013). Naturalistic word-concept pair learning with semantic spaces. In M. Knauff et al. (Eds. ), Proceedings of the 34th Annual Conference of the Cognitive Science Society. Austin, TX: Cognitive Science Society. McRae, K., & Jones, M. N. (2013). Semantic memory. In D. Reisberg (Ed.) The Oxford Handbook of Cognitive Psychology. Recchia, G., & Jones, M. N. (2012). The semantic richness of abstract concepts. Frontiers in Human Neuroscience, 6, 315:1-16. Johns, B. T., Jones, M. N., & Mewhort, D. J. K. (2012). A synchronization account of false recognition.Cognitive Psychology, 65, 486-518. Hills, T. T., Jones, M. N., & Todd, P. T. (2012). Optimal foraging in semantic memory. Psychological Review, 119, 431-440. .
Jamieson, R. K., & Jones, M. N. (2012). Introduction: Essays in honour of Douglas Mewhort. Canadian Journal of Experimental Psychology, 66, 81-82. Cox, G., Kachergis, G., Recchia, G., & Jones, M. N. (2011). Towards a scalable holographic representation of word form. Behavior Research Methods, 43, 602-615. Jones, M. N., Gruenenfelder, T. M., & Recchia, G. (2011). In defense of spatial models of lexical semantics. In L. Carlson, C. Hölscher, & T. Shipley (Eds. ), Proceedings of the 33rd Annual Conference of the Cognitive Science Society (pp. 3444-3449). Austin, TX: Cognitive Science Society. Johns, B. T., & Jones, M. N. (2011). Construction in semantic memory: Generating perceptual representations with global lexical similarity. In L. Carlson, C. Hölscher, & T. Shipley (Eds. ), Proceedings of the 33rd Annual Conference of the Cognitive Science Society (pp. 767-772). Austin, TX: Cognitive Science Society.Winner of Marr Prize for Best Student Paper. Zotov, V., Jones, M. N., & Mewhort, D. J. K. (2011). Contrast and assimilation in categorization and exemplar production. Attention, Perception, & Psychophysics, 73, 621-639. Holtzman, N. S., Schott, J. P., Jones, M. N., & Balota, D. A., & Yarkoni, T. (2011). Exploring media bias with semantic analysis tools: Validation of the Contrast Analysis of Semantic Similarity (CASS). Behavior Research Methods, 43,193-200. Kachergis, G., Cox, G. E., & Jones, M. N. (2011). OrBEAGLE: Integrating orthography into a holographic model of the lexicon. In E. Oja (Ed. ), Proceedings of the International Conference on Artificial Neural Networks.Springer: Lecture Notes in Computer Science. Johns, B. T., & Jones, M. N. (2010). Evaluating the random representation assumption of lexical semantics in cognitive models. Psychonomic Bulletin and Review, 17, 662-672. Mozer, M. C., Pashler, H., Wilder, M., Lindsey, R. O., Jones, M., & Jones, M. N. (2010). Decontaminating human judgments by removing sequential dependencies. In J. Lafferty & C. Williams (Eds.). Advances in Neural Information Processing Systems, 23. Cambridge, MA: MIT Press. Jones, M. N., & Recchia, G. L. (2010). You can’t wear a coat rack: A binding framework to avoid illusory feature migrations in perceptually grounded semantic models. In S. Ohisson & R. Catrambone (Eds. ), Proceedings of the 32nd Annual Cognitive Science Society. Austin TX: CSS. Recchia, G. L., Jones, M. N., Sahlgren, M., & Kanerva, P. (2010). Encoding sequential information in vector space models of semantics: Comparing holographic reduced representation and random permutation. In S. Ohisson & R. Catrambone (Eds. ), Proceedings of the 32nd Annual Cognitive Science Society. Austin TX: CSS. Cox, G. (2010). On the relationship between entropy and meaning in music: An exploration with recurrent neural networks. In S. Ohisson & R. Catrambone (Eds. ), Proceedings of the 32nd Annual Cognitive Science Society. Austin TX: CSS. Johns, B. T., & Jones, M. N. (2010). Are random representations accurate approximations of lexical semantics?In S. Ohisson & R. Catrambone (Eds. ), Proceedings of the 32nd Annual Cognitive Science Society. Austin TX: CSS. Hare, M. Jones, M. N., Thomson, C., Kelley, S., & McRae, K.(2009). Activating event knowledge. Cognition, 111 (2), 151-167. Recchia, G. L., & Jones, M. N. (2009). More data trumps smarter algorithms: Comparing pointwise mutual information to latent semantic analysis. Behavior Research Methods, 41, 657-663. Hills, T. T., Todd, P. M., & Jones, M. N. (2009). Optimal foraging in semantic memory.In N. A. Taatgen & H. van Rijn (Eds. ), Proceedings of the 31st Annual Cognitive Science Society, (pp. 66-72). Austin TX: CSS. Johns, B. T,. & Jones, M. N. (2009). False recognition through semantic amplification.In N. A. Taatgen & H. van Rijn (Eds. ), Proceedings of the 31st Annual Cognitive Science Society, (pp. 2795-2800). Austin TX: CSS. Johns, B. T., & Jones, M. N. (2009). Simulating false recall as an integration of semantic search and recognition.In N. A. Taatgen & H. van Rijn (Eds. ), Proceedings of the 31st Annual Cognitive Science Society,(pp. 2511-2516). Austin TX: CSS. Johns, B. T., & Jones, M. N. (2008). Predicting word-naming and lexical decision times from a semantic space model. Proceedings of the 30th Annual Cognitive Science Society. Recchia, G., Johns, B. T., & Jones, M. N. (2008). Context repetition benefits are dependent on context redundancy. Proceedings of the 30th Annual Cognitive Science Society. Landy, D. L., Jones, M. N., & Goldstone, R. L. (2008). How the appearance of an operator affects its mathematical precedence. Proceedings of the 30th Annual Cognitive Science Society. Mozer, M. C., Jones, M. N., & Shettel, M. (2006). Context effects in category learning: An investigation of four probabilistic models. Neural Information Processing Systems, 19. Cambridge, MA: MIT Press. Jones, M. N., Kintsch, W., & Mewhort, D. J. K. (2006). High-dimensional semantic space accounts of priming.Journal of Memory and Language, 55, 534-552. Mills, J. F., Jones, M. N., & Kroner, D. G. (2005). An examination of the generalizability of the LSI-R and VRAG probability bins. Criminal Justice and Behavior. 32, 565-585. Jones, M. N., & Mewhort, D. J. K. (2004). Case-sensitive letter and bigram frequency counts from large-scale English corpora. Behavior Research Methods, Instruments, and Computers, 36, 388-396. Jones, M. N., & Mewhort, D. J. K. (2004). Tracking attention with the focus-window technique: The information filter must be calibrated. Behavior Research Methods, Instruments, and Computers, 36, 270-276. Chow, P., Jones, M. N., & Loerke, D. R. B. (2002). The psychometric benefits of soft-linked items: A reply to Pope and Harley. Journal of Instructional Psychology, 29, 222-225. Jones, M. N., Thorn, C. R., Chow, P., Thompson, I. S., & Wilde, C. (2002). Equifinality: Parents’ and students’ attitudes towards a student-centered approach to integration. Education, 122, 624-635. Loerke, D. R. B., Jones, M. N., & Chow, P. (1999). Psychometric benefits of soft linked scoring algorithms in achievement testing. Education, 120, 273-280.